The Democrats have a dilemma. 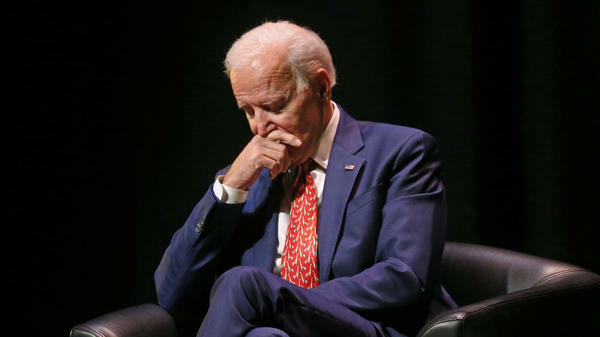 Joe Biden leads the polls for the Democratic Party presidential nomination and yet he hasn't officially announced his candidacy. That hasn't stopped the barrage of attacks though to cut good old Uncle Joe down before he can even begin his campaign. When you are perceived as the leader the long knives usually come out. The issues revolve around Biden being just a tad too friendly and invasive around women and little girls. Those pictures and video clips have been around for years now but recently a few women have come forward to the press to highlight their own uncomfortable experiences around Joe. But Biden has much deeper problems than being too friendly with his hands and mouth. The deeper problems involve pay-for-play and obstruction of justice. As journalist Peter Schweizer has highlighted in his book, "Secret Empires: How The American Political Class Hides Corruption and Enriches Family and Friends," Joe Biden and his son, Hunter Biden, have some serious questions to answer involving deals in China and Ukraine. Thus we have a quandary for Democrats and Biden. Joe Biden may be their best hope to defeat President Trump in 2020. He has the experience of being a U.S. Senator for thirty-six years and served as Vice President under the Obama administration for eight years. He is more of a moderate compared to the rest of the candidates already running and could potentially lure back some of the white males and Reagan Democrats who voted for Trump. He could win back votes in states like Wisconsin, Michigan, Pennsylvania, and Ohio which would be crucial for Democrats. The trouble is the far-left socialists have taken a firm hold of the Democratic Party. Biden is old, white, and a man. He lacks any diversity and he isn't Bernie Sanders. Bernie may be old, white, and a man too but he has that socialist ideology that the far-left find themselves drawn to. Biden has the issues of being too friendly with women and little girls in the era of #MeToo and that will be a lingering concern. Add in the Ukraine and China corruption stories and a history of being gaffe prone whenever Biden opens his mouth and you have a flawed candidate. The Democrats will have to decide whether they want to turn to Biden as their savior or roll the dice on a full-scale socialist like Bernie Sanders or choose one of the far-left female candidates like Elizabeth Warren, Kamala Harris, or Kirsten Gillibrand. The mainstream media will continue to control the narrative throughout the process. 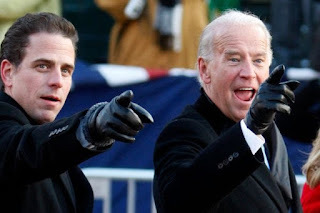 Will they open up a full assault on Biden and sink him or will they go easy and let him hang around in case they need him to save the day? It makes a very interesting quandary for sure. How the Democrats eventually solve this presidential predicament will determine whether they can win in 2020. Given their track record you might want to bet on their final choice being anything but logical. Paging Tom Perez. George McGovern is on line one. At some point in time over the last several years, you fell asleep. You didn't mean to, but you became weary and exhausted. Who could really fault you? It happened to most of us if we are honest with ourselves. We all got lost in our own lives and became oblivious to the rest of the country and the world. We are human, and we all have faults. 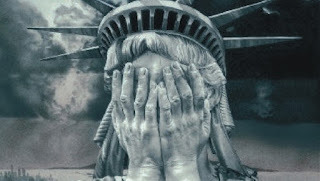 Now, you are slowly waking up from your deep sleep, and wondering what has happened to America. You don't recognize the country you grew up in? Well, let me tell you what happened while you were asleep my friend. 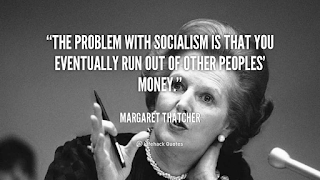 With the excitement and euphoria surrounding Sen. Bernie Sanders, especially from younger people, I often ponder why does socialism continue to lure in people. 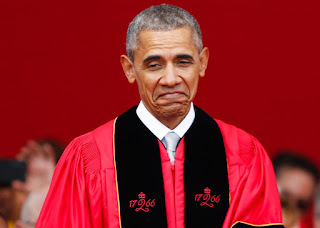 After years of historical evidence and the clear failure of the socialist ideology in numerous countries you would think it would be laughed off in a New York minute. And especially in America, where our founding fathers set up a constitutional republic, escaping the tyranny of a king. Yet, we find a self-proclaimed socialist in Bernie Sanders, drawing crowds of screaming fans, especially Millenials. Why? "In fact, by almost every measure, America is better and the world is better than it was 50 years ago or 30 years ago or even eight years ago." Now, I do understand that your worldview and my worldview are vastly different, but let's put that aside for the moment and just examine your statement in a fair and balanced analysis. Just the facts, Mr. President. No spin.